3-2 yesterday which means we hit 60% and have some change to throw. I'm happy that I ended the day and week on a positive number and that I grew 4%. However I came in well short of my 10% goal and under the ceiling of 6%. But hey 4% is growth and if we look back we can see that I grew 22% over the last three weeks. 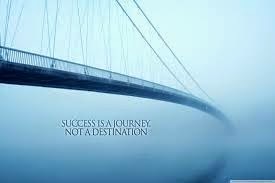 Success is a journey and I learned two things this week. One I should not have put so much on one play (Warriors and Cavs) and two, I need to stick to what I said earlier regarding the Warriors and Clippers series. Id be sitting pretty if I would have played every under and over respectively. Today in the NBA we have two games including the Warriors which I suspect they will win tonight and turn the series into a best of three with two games at home. I'm also sticking with the under. For the Hawks this is a must win and they have to believe they can beat the Wizards since they were able to erase a double digit deficit and a buzzer beater bank shot from overtime. I just don't see how the Wizards did it; is it smoke and mirrors or were the Hawks that bad? I'd say a little of both and I don't think the Hawks will make the same mistake again. Two teams in must win situations screams parlay! Not much to choose from on the diamond today but I found a few gems.